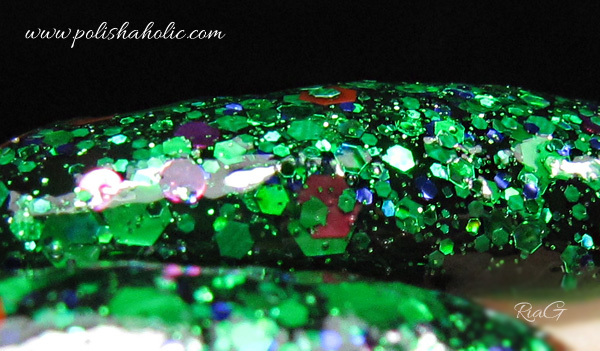 Today I have a beautiful Femme Fatale polish for you. 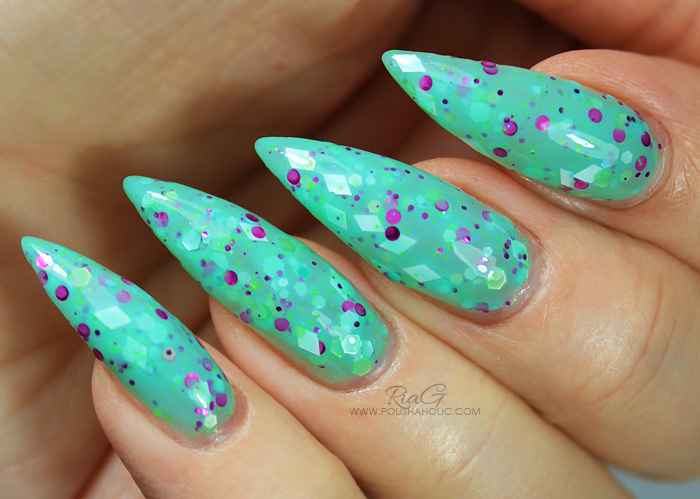 This is Spring Fling and on Femme Fatale website this is described as “A medium opacity creme polish speckled with hints of pastel green and aqua, flashes of white diamond and bright pink metallic glitter. Scattered throughout are soft flecks of neon green”. This is very pretty and truly looks like a spring color to me. This was very hard to capture accurately but in real life the base color is fresh light teal and the glitters really pop nicely. The formula was very good and I had no issues with the application. Two coats looked like it was enough but looking at the photos maybe I could’ve even applied a third. I used two coats of top coat to smooth the surface. This was very packed with glitter so no need to even turn the bottle upside down. Very, very pretty!! Femme Fatale polishes and cosmetics can be bought from their website where you can also find a list of international stockists. You can also follow Femme Fatale on social media: Facebook, Twitter and Instagram. For this manicure I used two coats of Spring Fling and two coats HK Girl top coat. ***Spring Fling was sent for review. HK Girl was gifted to me. I don’t benefit from clicking any of the links on this post. Happy Sunday! 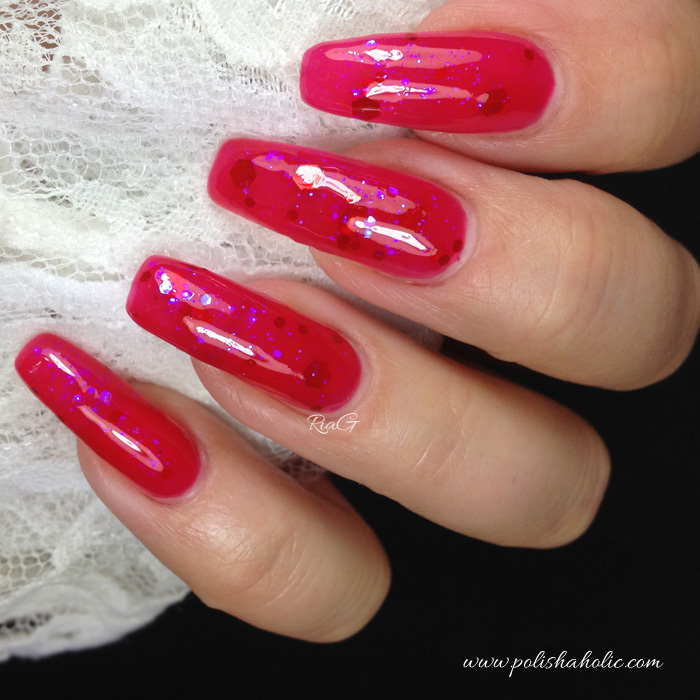 Here’s another Femme Fatale polish for you. I decided to use their glitter topper Witchful Thinking over my Maddening Whispers manicure I showed you the other day. 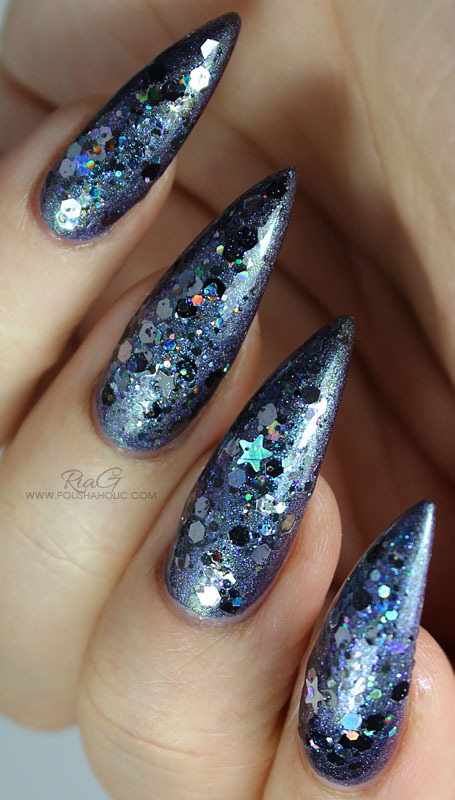 Here’s how this polish is described on Femme Fatale website: “A clear based glitter topper filled with gunmetal, black, charcoal and silver glitters in various sizes/shapes and accented with a stunning lavender shimmer and violet iridescence. 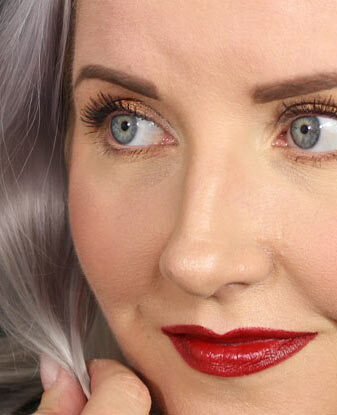 We recommend using over a darker base colour to enhance the shimmer”. This is very packed with glitter so I found it easiest to apply the first coat normally and dab on the second coat. That way I really had no issues with application. I also used two coats of top coat to make sure the result was smooth. This polish has an awesome metallic look to it and it looked really cool in real life! Unfortunately all the sparkle this polish has didn’t show up on the photos. Femme Fatale polishes and cosmetics can be bought from their website where you can also find a list of international stockists. You can follow Femme Fatale on social media: Facebook, Twitter and Instagram. For this manicure I used two coats of Maddening Whispers, two coats of Witchful Thinking and two coats HK Girl top coat. ***Witchful Thingking and Maddening Whispers were sent for review. HK Girl was gifted to me. I don’t benefit from clicking any of the links on this post. Today I have another stunning Femme Fatale beauty for you. 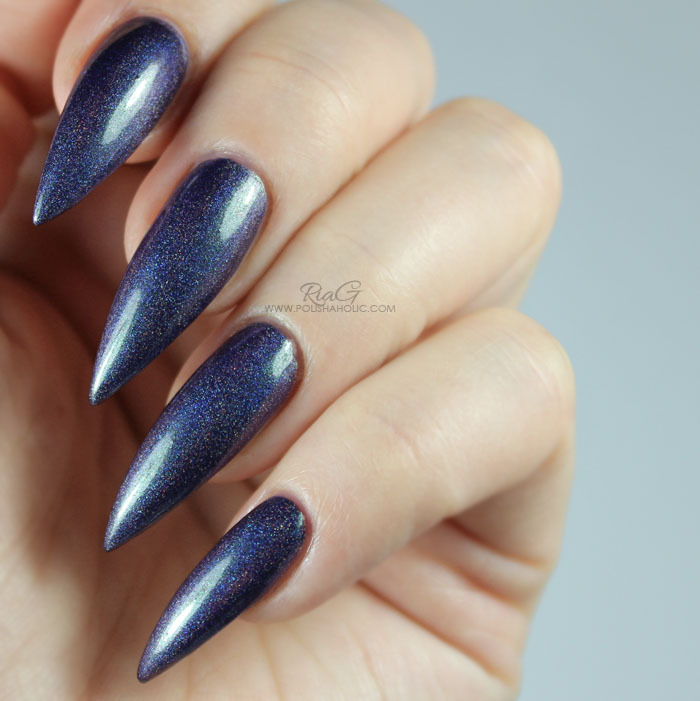 This is Maddening Whispers, a purple linear holo with a green glow. Unfortunately there isn’t any sun here at the land of endless rain and mud *sigh* at the moment. That means I couldn’t get the holo effect to show as strong as sun would have made it. The green glow also doesn’t show up in the photos but is visible in real life. Bottle shot also shows that pretty well. All in all this polish is super beautiful! Formula is excellent. Two easy coats were enough for opaque result and dry time was quick. This dries very smooth so one coat of top coat was enough. For this manicure I used two coats of Maddening Whispers and HK Girl top coat. ***Maddening Whispers was sent for review. HK Girl was gifted to me. I don’t benefit from clicking any of the links on this post. Happy hump day! Today I have the last one of my four new Femme Fatale polishes, Fatal Attraction. 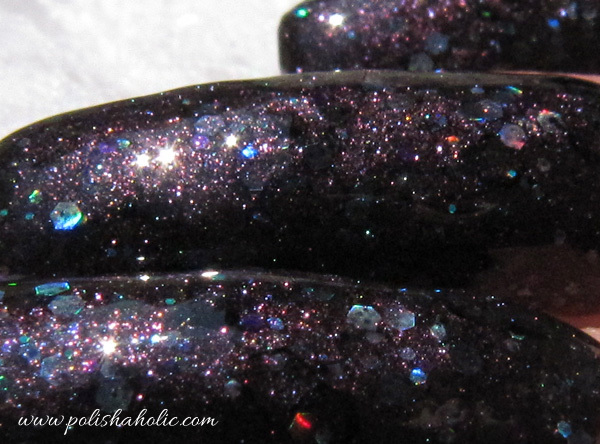 This is a very beautiful shade packed with holographic micro-glitter and shimmer. Base is somewhat sheer and jelly-ish giving this polish some depth. Perfect color for fall! Love this! This is three thin coats of Fatal Attraction and two coats of G & G HK Girl top coat. Photo taken with daylight bulbs. Fatal Attraction applies well and smoothly. Though you should be careful with the application cos cleanup with this one is not easy. Mess your cuticles, do the cleanup and you might end up with shimmer up to your elbows ;) This also dries a little gritty, hence the two coats of HK Girl. Femme Fatale polishes and cosmetics can be bought from their website if you live in Australia. International customers can find Femme Fatale polishes from Llarowe, Harlow & Co, Norway Nails, Shoppe Ecclecticco and Ledouxnuage. You can also follow Femme Fatale on social media: Facebook, Twitter and Instagram. ***Fatal Attraction was sent for review. HK Girl top coat was purchased by me. Hello lovelies! 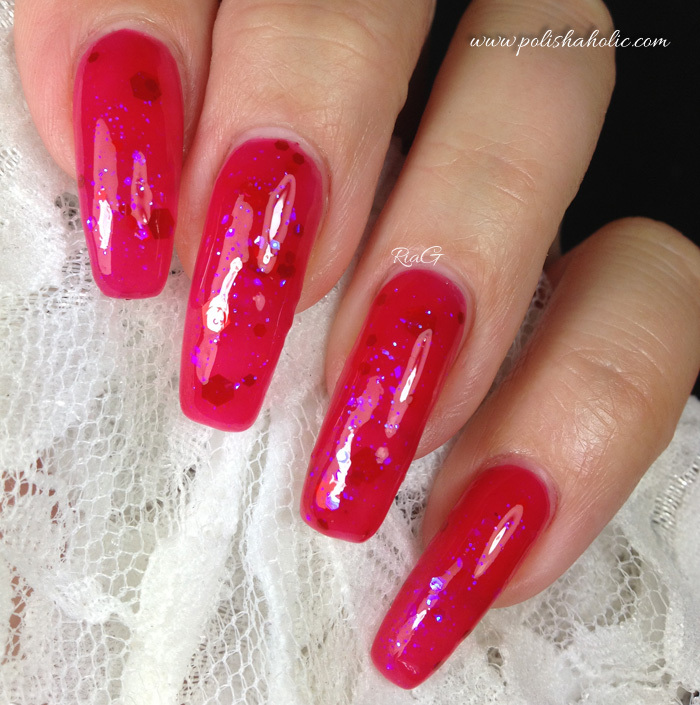 Today I have another Femme Fatale polish to show you. As many of you know I’m a sucker for green nail polish so this was a real treat for me. Noble Garden has a lot of sparkling green glitter in different shapes and sizes along with some little pops of color like pink and orange. Very beautiful combination of glitter. I decided to layer this over a dark green jelly, NARS Zulu. This is two coats of Noble Garden over Zulu, a coat of Glitter Food and G & G HK Girl top coat. ***Noble Garden was sent for review. Glitter Food and HK Girl top coat were purchased by me. Happy Sunday! 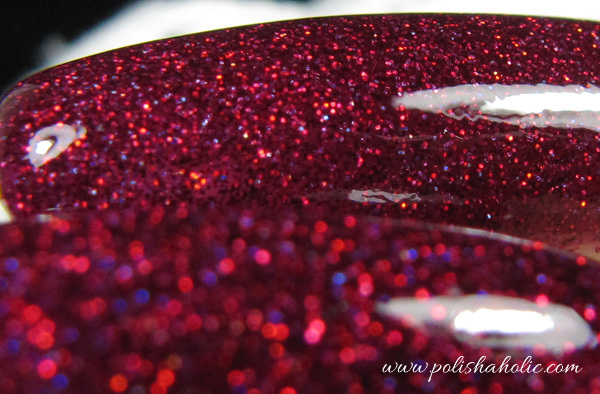 Today I have another Femme Fatale polish to show you and this one is a real beauty. Mana Ruby is the squishiest, juiciest jelly I’ve ever tried. It is absolutely delicious! 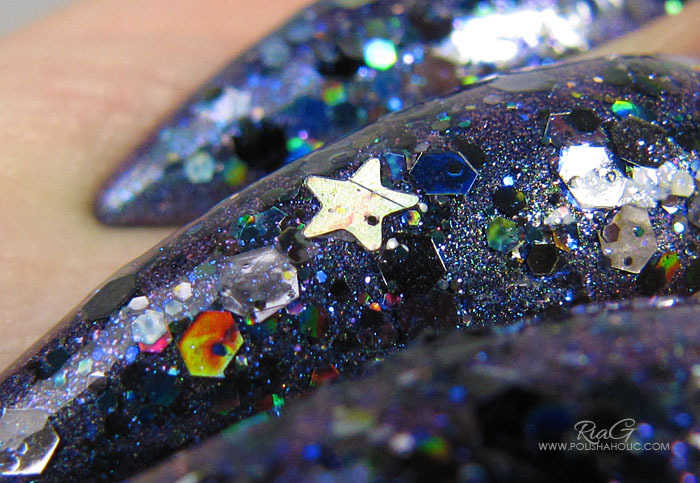 It has red hex glitter and iridescent blue glitter that gives this an amazing glow from within. I almost never layer jelly polishes over cremes cos I love to get the depth showing and you lose that effect if you layer it on a base color. That being said nothing stops you from layering this one on top of another polish and it’ll still be gorgeous. 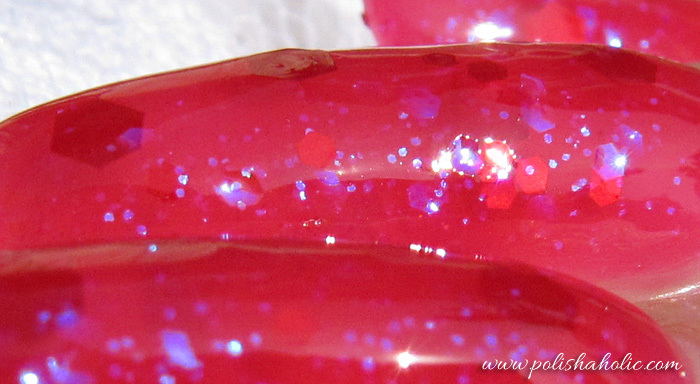 This is three thin coats of Mana Ruby with G & G HK Girl top coat. The color is somewhat more vivid red in real life than I was able to capture on the photos. ***Mana Ruby was sent for review. HK Girl top coat was purchased by me. I recently received my first Femme Fatale polishes and they are gorgeous! First I’m showing you Planar Anomalies. This is how it’s described by Femme Fatale “Planar Anomalies is a really complex polish that is nearly impossible to photograph. It’s a murky black base (sheer crelly, suitable for layering over another shade) with a subtle pink > green shift. 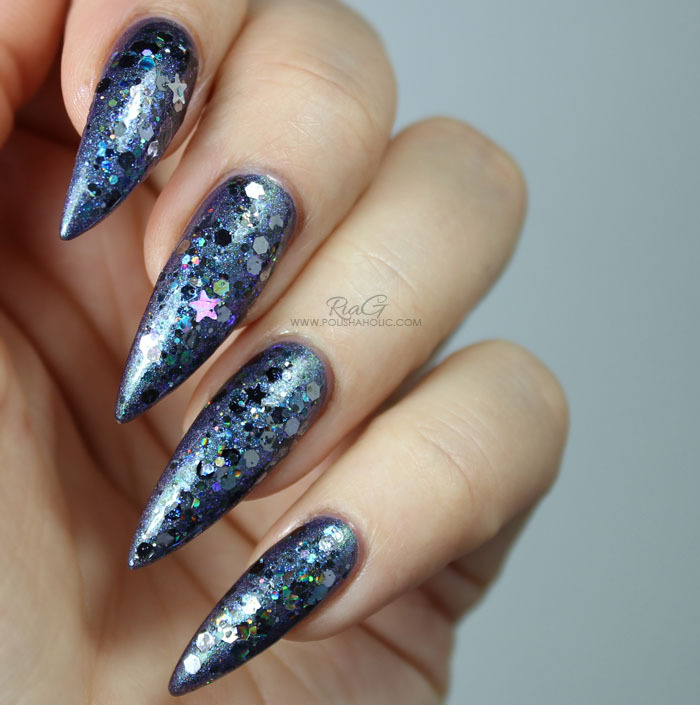 in this darkly delightful base we have an assortment of grey, black, holo, purple and teal”. I totally agree with the “nearly impossible to photograph” part. This one really gave me trouble. It is so unbelievably sparkly and has this amazing depth IRL and only a small part of the awesomeness this polish is can be captured on photos *sigh* I decided to wear this alone to get the depth showing but it would also look great over dark colored undies. This is two normal coats of Planar Anomalies, a coat of Glitter Food and G & G HK Girl top coat. Planar Anomalies is really packed with glitter and I think you’d get a better result with three thin, carefully applied coats than two normal ones. You need to be careful with the amount of the glitter on the brush so this will apply evenly. I was a little too generous with the glitter and there’s a few visible bumps. I absolutely love this deep dark color and I will most certainly wear it again when the fall comes. I’ll layer this with a dark shimmery purple and it’ll look stunning! ***Planar Anomalies was sent for review. Glitter Food and HK Girl top coat were purchased by me.